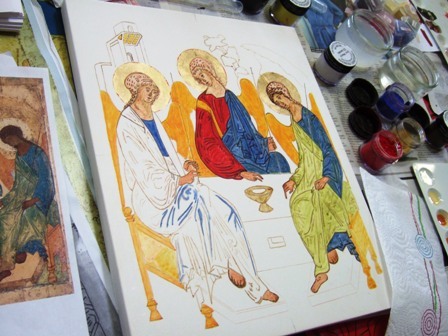 The Icon studio was founded in 2006 by Sr. Mary Stella. The room had been used previously for day groups as an overflow from the guest house but was used as a storeroom as well. The idea of a studio was suggested by Sr. Mary Stella who managed to persuade people to help her paint, redecorate and refurbish the room. It has been a wonderful example of people's generosity! The electrics were redone, a wooden stove donated, art materials donated or brought from Slough. 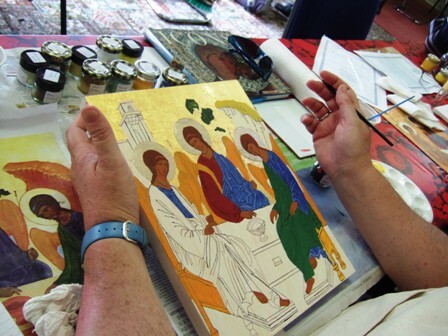 Now Sr. Mary Stella holds regular groups and workshops and works with Iconographers from different parts of the country. Peter Murphy now runs a course every year for more advanced students. 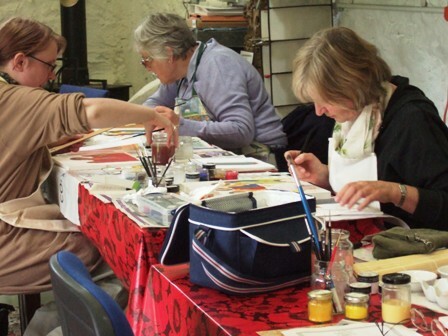 Every Wednesday there is a regular group from beginners to the more experienced. Sr. Mary Stella runs several courses during the course of the year and the next one is in March 2019 and is for beginners. 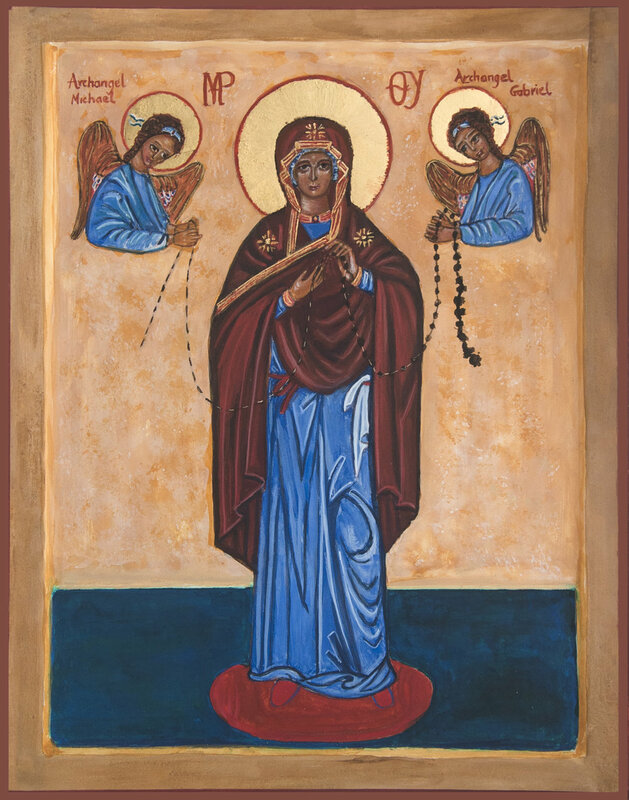 Icon cards done by Sr. Mary Stella are also for sale in our shop. The slideshow contains a commission done by the group. Fr. 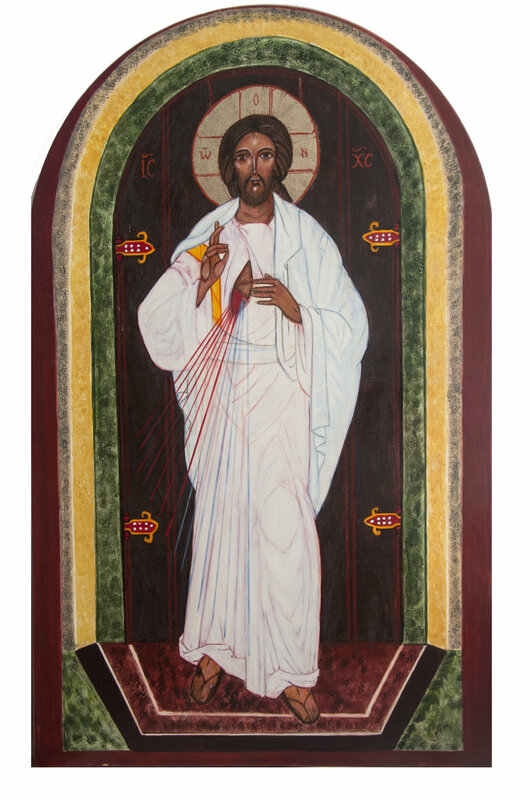 Darren of the Diocese of Lancaster commissioned a series of icons of the Cure D'Ars for the year of Consecrated Life. Barbara's icons are copyrighted, if you would like to a have a copy please ask for permission. 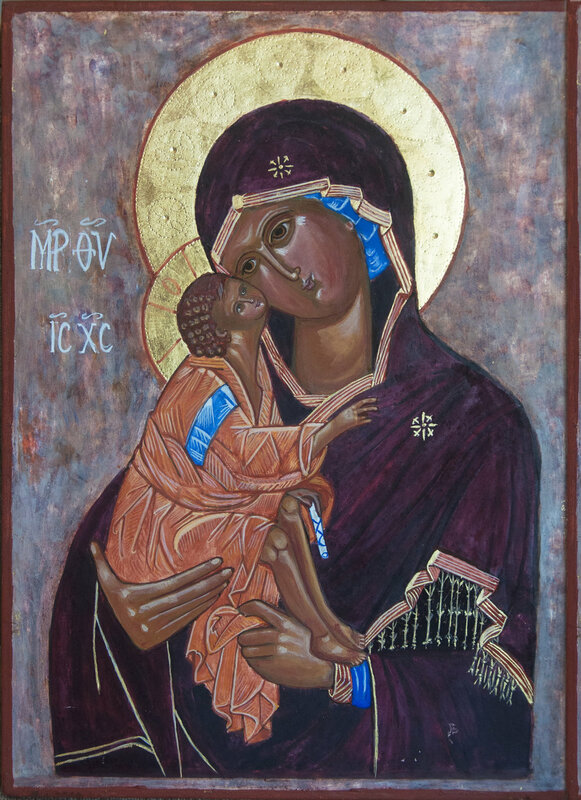 Reverend Judith talks about the recent icon course at Hyning. During one icon course, we managed to take pictures of the stages of writing an icon. The slideshow takes you from the template to the completed icon. 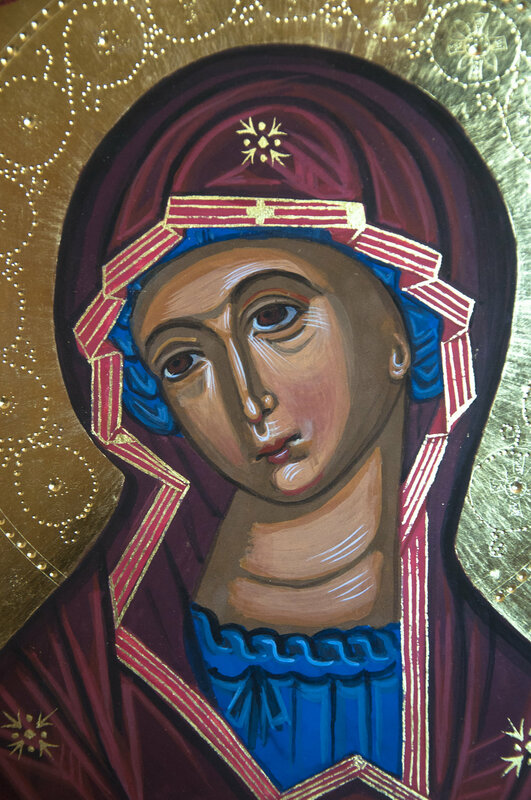 The icon we chose was Our Lady of The Sign. The second slideshow shows the March 2018 course. 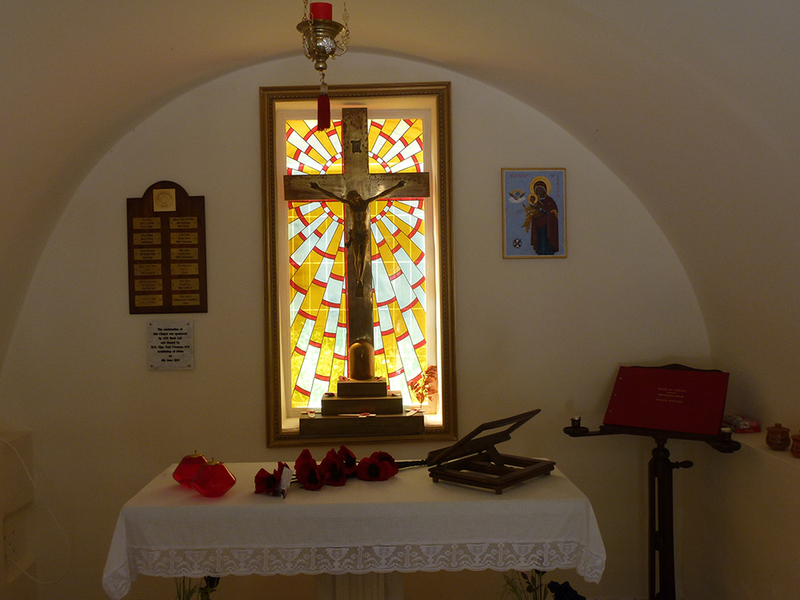 The icon chosen was the Good Shepherd.